The first thing you want to do when looking at this gift bag is to – well – take a closer look. Once you do that, you’ll notice small white rabbits printed across this Easter retail bag’s side panel. 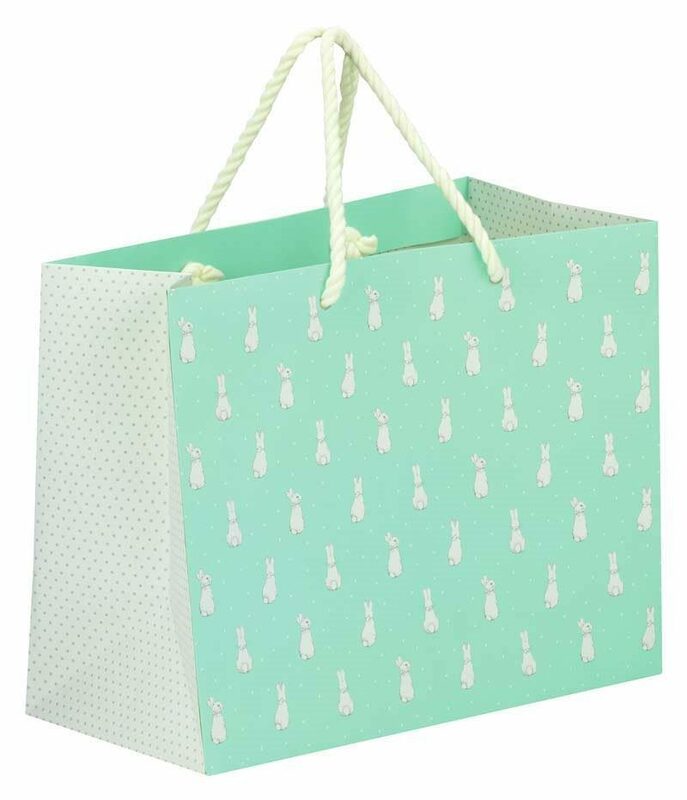 The combination of mint and white just works, and the dotted side panels adds a bit more character to an otherwise stunning paper bag. What shouts Easter more than colourful eggs and bunny rabbits, right? 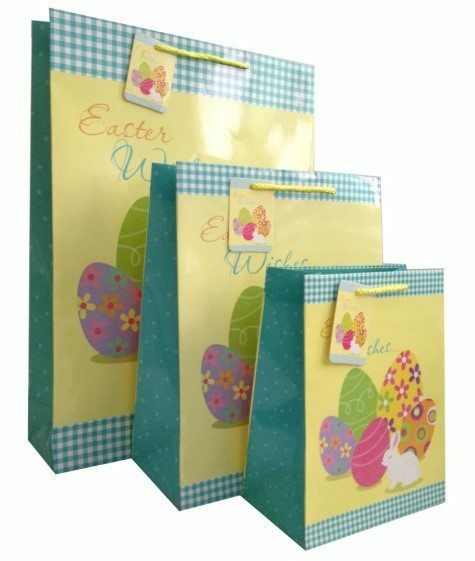 These Easter retail bags feature a traditional dual-trim design not seen often since the early 2000s, with tired-and-tested Easter-themed graphical elements on the side panels. The bags are finished off with yellow rope handles and a tiny message tag. Notice how these Easter retail bags feature bunnys with ears that actually extend past the upper edge of the bag? This is very out of the ordinary on a retail bag, and is sure to attract much attention! What’s more, these specific bags can be used on Valentine’s Day and Easter! While the bunny might not look very happy, we absolutely LOVE these paper bags. Kiki Bag has been manufacturing branded retail bags for both the South African and UK markets for quite some time. We like nothing more than to transform a client’s vision of their ideal occasional paper bag, into something both parties can be extremely proud of. 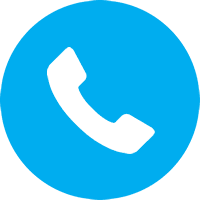 For paper bags suited to any and every occasion, feel free to connect with us right here!